The complaint, lodged in the Southern District Court of California, asserts that Apple buys and uses Qualcomm wireless baseband processor in its iPhone 4S product and should therefore be a third-party beneficiary to Motorola's license agreement with the chip maker, reports Reuters. Apple's suit also claims that the patent rights Motorola is exerting in Germany are exhausted in both Europe and the U.S., thus any current or future litigation regarding said patent would be in violation of the patent's original contract. 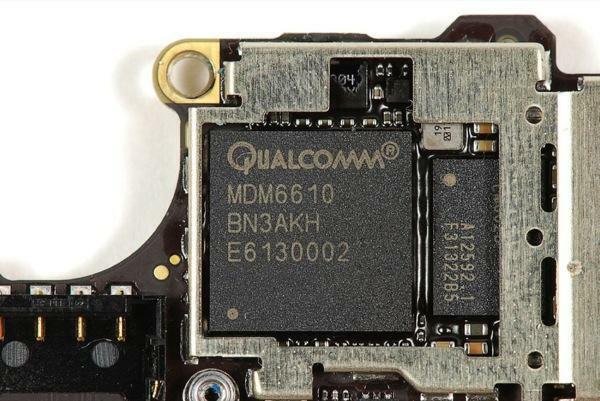 The patent in question relates to certain how devices connect to UMTS an GPRS networks, a piece of Motorola technology that was licensed by Qualcomm to build baseband chips like the MDM6610 chip found in the CDMA version of the iPhone 4S. In December, a German court handed down an injunction against the iPhone and 3G-capable iPads, saying that the devices infringed on Motorola-owned European Patent 1010336. In today's filing it is contested that when Qualcomm paid Motorola to use the patent, the company also bought the rights for its customers, including Apple. beneficiary of that contract. Moreover, under this same contract, Motorolas rights under the 336 and the 898 patents are exhausted. Breach of contract to which Apple is a third party beneficiary. Declaratory judgment that Apple is authorized to use Qualcomm components under a covenant not to sue. Declaratory judgment that Motorola's patent rights are exhausted. With the suit, Apple is looking to end the prosecution enforcement of Motorola's German claims, a permanent injunction of further lawsuits regarding the patent, damages for breach of contract and compensation for legal fees incurred during the hearing process. Motorola has lodged numerous patent claims against Apple in Germany over a variety of patents, most recently losing a suit in Mannheim over certain 3G/UMTS technology. The telecom has dealt blows to the iPhone makers, however, and is expected to enforce an injunction in the the country related to iCloud's push services. The U.S. District Court case is Apple Inc. and Apple Sales International v. Motorola Mobility Inc., 12-cv-355.